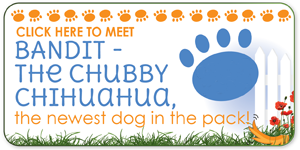 Pat – I think of you with my little “Chubby Chihuahua”. She lost almost 50% of her weight and she is now pretty athletic!! 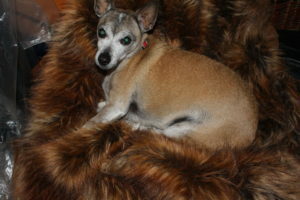 I now call her my “Centerfold Chihuahua”. She has ingratiated herself into our household and I can’t imagine a better dog!! She has been delightful. 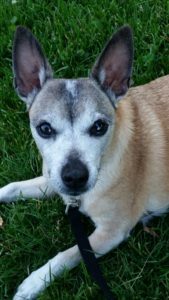 Your book was fantastic – it was serendipity to see your book at the fair just a couple weeks after I inherited Honey Bun – my first dog as an adult!! “An endorsement from Olivia, age 71/2. 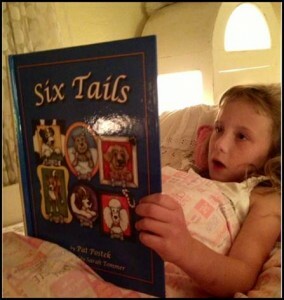 Her mom read Six Tails to her before she could read. Now she reads the book herself. And it still is one of her favorite books. So sweet! Six Tails is destined to be a classic.